4 oz. 98% combed ringspun cotton, 2% spandex sheer mini rib knit. Low, contoured scoop flatters the neck. Slim fit and sideseamed. Set-in sleeves and longer body length. 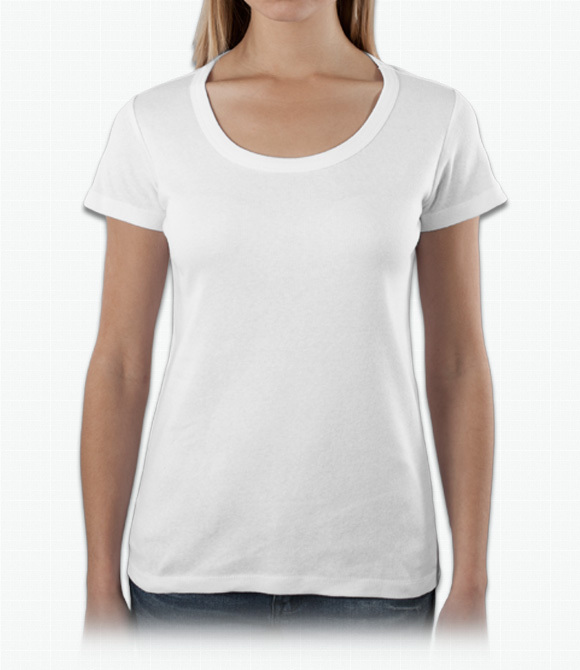 Great fitting and stylish scoop neck for all occasions. Thin and soft cotton, runs a little longer than most shirts. We recommend ordering at least one size up as Bella products run smaller than other brands. "Such a flattering shirt! Fits great. Thank you for mentioning that I should order up a size, that was very accurate." "The shirt looks nice, but I had some women try it on and they said it felt cheap and up close looked cheap. I am hoping the other shirt I got a design printed on feels better so my future customers will be satisfied as well." "Much thinner, smaller and fitted than I anticipated, I went up a size on all of the shirts I ordered, but still think they may not fit, a little disappointed."